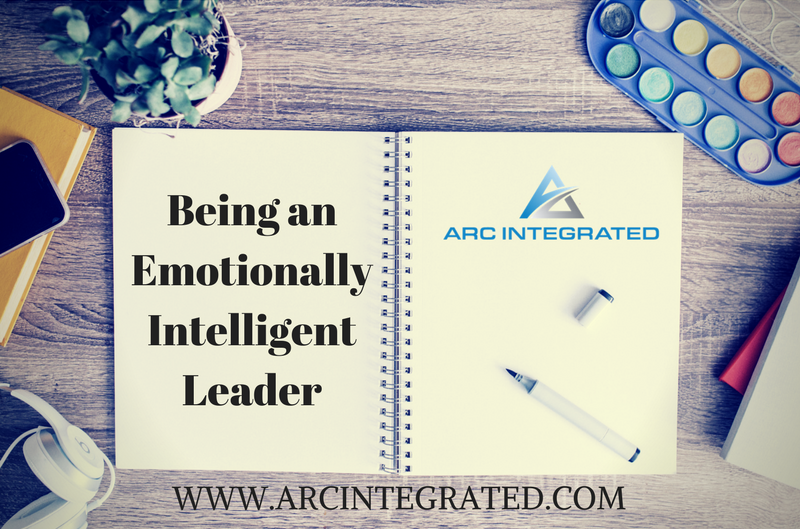 Being an emotionally intelligent leader may sound like a challenge, or a farce or maybe a task that may not reward? However, the evidence continues to build for emotional intelligence and how it impacts everything from productivity to rapport to leadership. Here is an excellent business case for emotional intelligence. For instance, according to the Center for Creative Leadership, one study shows that the primary causes for derailment in executives involves deficits in emotional intelligence. This research points to qualities like difficulty working in teams, problems with interpersonal relations and challenges with handling change. My short answer for this is that someone’s emotional intelligence is their ability to understand, communicate and empathize with their own emotions and other people’s emotions. However, the standard definition is – emotional intelligence (EI) is the ability to monitor one’s own and other people’s emotions, to discriminate between different emotions and label them appropriately, and to use emotional information to guide thinking and behavior. Often time’s organizations will bring in individual executive coaches or leadership coaches to work with employees within the organization on building emotional intelligence. In addition, utilizing assessment tools with individuals and teams that help to build empathy and understanding of each other’s strengths is another way to build emotional intelligence in the individual or group. Within the context of leadership, leaders may benefit from working towards building the following skills (all related to improving their emotional intelligence). Improving empathy towards employees through exploring their strengths and specific styles as well as how these styles can be complimentary to others within the team/organization. Improving empathy towards one self through improving self-care practices, self-reflection, and self-awareness. Exploring communication style and understanding strengths and blind spots in how they communicate as it relates to the leader’s ability to connect with employees. Leadership is certainly not limited to the organization. We can improve our leadership skills as individuals through understanding how we engage as friends, partners, relatives or parents for instance. There is always opportunity to build our leadership skills. Teaching children to communicate their feelings at an early age can help with development of emotional intelligence. Supporting children in expression of their own emotions, recognition of emotion in others and providing guidance in ways to be expressive can be helpful. In my professional opinion, teaching children how to express themselves and recognize emotion in others is just as important as academics. Given the later implications for how this may impact career and relationships, it seems that this is a crucial part of educational development. Since we have seen such a rise in emotional intelligence being an important factor in an employee’s ability to lead as well as interact with others, the risks of not developing emotional intelligence may be great. In addition, we see communication and ability to express one’s self being influential factors in relationships, both intimate and professional. The risk of not developing emotional intelligence may be multifaceted for adults. Practice offering empathy, asking questions and being curious. Instead of making assumptions about your partner, remain more curious about truly understanding their feelings, perspectives and states of being. Explore your own assumptions and sense of feelings. Being willing to be vulnerable with your partner shows leadership in emotional intelligence and offers an invitation to connect on a deeper level. Even in our friendships we always have the opportunity to model what kind of relationship we are wanting to engage in and how we want the dynamic to exist. Part of the challenge around this is first understanding what kinds of friendships you want to cultivate as well as how you want your current friendships to change, or not. Being an emotionally intelligent leader among friends doesn’t mean you are guiding your friend’s behavior. Being a leader is about setting example, inspiring and living congruently to your own values and principles. This way of being is always possible in any relationship, leaving the opportunity to be a leader always an option. Understand your own boundaries, values and principles and be willing to communicate them. Some people may push back on this but the kind of friends that truly identify with you will resonate more strongly if you are clear about who you are and where you stand. Communicate the kind of friendship that you expect. Being able to communicate clearly with friends about your own expectations, feelings and experiences will help to build stronger connections and model the kind of dynamic you hope to create. Remain curious. When in conversations don’t wait until someone is done speaking so that you can respond. Really try and remain curious about who they are and the message they are portraying. Building curiosity rather than response will strengthen connection and impress upon your friends that you are truly invested in what they have to say. How have you worked towards building emotional intelligence in your life or business? If you’d like to learn more about how to improve your EQ, we can help. Reach out today to schedule a free call to learn more.